Bloomington, Ind. 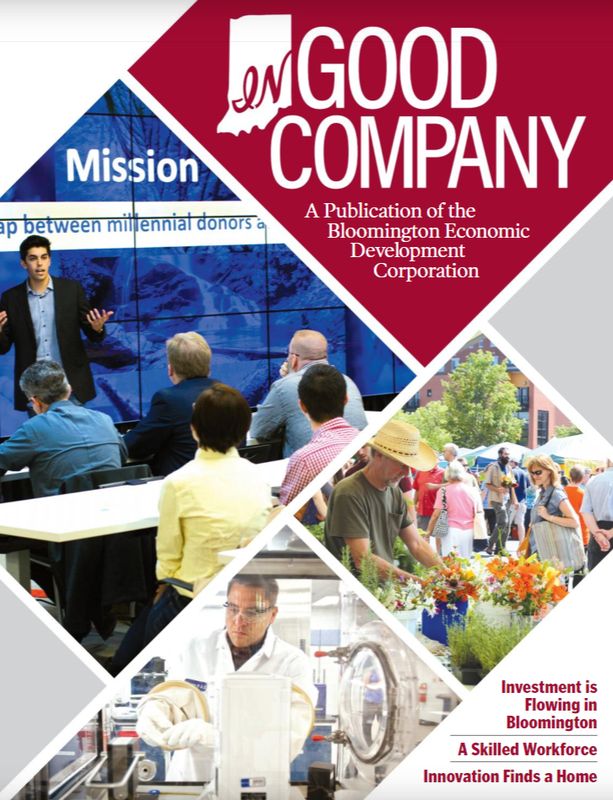 – Today, two Cook Group announcements mark significant, positive changes for the future of Bloomington. First, Cook Group and Catalent, Inc. announced a purchase agreement for Catalent (NYSE: CTLT) to purchase Cook Pharmica. In addition, Cook Group, through its subsidiary Cook Properties, has signed an agreement to purchase the former GE site near Cook’s world headquarters on Bloomington’s west side. Catalent is a leading global provider of advanced delivery technologies and development solutions for drugs, biologics and consumer health products. Cook Pharmica expands Catalent’s capabilities by adding more drug substance and drug product expertise and capacity to serve patients world wide. Upon completion of the sale, Cook Pharmica and Catalent will create a new leader in the rapidly growing biologics development, analytical, manufacturing and finished product supply industry. With Cook Pharmica’s available space and expertise, Catalent will create a biologics development and manufacturing center of excellence. The purchase allows Cook Pharmica to deepen relationships with customers and grow their already successful business. “This purchase is a recognition of the hard work, dedication, and community spirit of the men and women who have helped Cook Pharmica to grow. The Bloomington area has been a terrific home for this fast-growing business, and we look forward to further strengthening Cook Pharmica’s partnership with the community in the years to come,” said John Chiminski, president and CEO of Catalent. Catalent plans to invest aggressively in Cook Pharmica, and in the rest of the Catalent Biologics network to build a true global leader in the biologics market, which will help Catalent to improve the lives of patients around the world. The completion of the $950 million transaction is subject to customary closing conditions, including approval from regulatory authorities, and is expected to occur in the fourth quarter of this calendar year. Cook Group is expanding its medical device business and reaffirming its commitment to Bloomington by signing a purchase agreement for the vacant GE property on Curry Pike. This purchase allows Cook the flexibility to address some immediate space needs at Cook Medical’s global headquarters and to more quickly address future goals to modernize its manufacturing process for increased efficiency. Over the next 10 years, if market growth continues as planned, Cook Group expects to add 500 jobs in Bloomington at this new facility and its Daniels Way location. The former GE site was built over 50 years ago to manufacture refrigerators. The last refrigerator came off the line at that facility in August 2016 when GE Appliances closed the Bloomington plant. With a history of revitalizing once-vacant buildings, Cook Group plans to invest in the property so it will once again be a source of pride for the community. The completion of the purchase is subject to certain conditions, including inspections of the property and finalization of agreements with the City of Bloomington and Monroe County, and is expected to occur in the fourth quarter of this calendar year. Cook Group is a family-owned company with headquarters in Bloomington, Indiana. Our diverse business portfolio includes companies working in life sciences, business services, resorts, property management, and medical devices. Founded in 1963, Cook Group companies today employ more than 12,000 people around the world. We are committed to improving lives by giving back to our communities, supporting our employees and their families, and serving our customers and their patients. Learn more at www.CookGroup.com. Cook Pharmica is a contract development and manufacturing organization (CDMO) that provides biopharmaceutical companies with a unique One Source, One Location model for development, clinical or commercial cell culture manufacturing, parenteral product manufacturing, and secondary packaging. Cook Pharmica was founded in 2004 and over the last 13 years, Cook has invested heavily in its facility, people, and processes. Catalent is the leading global provider of advanced delivery technologies and development solutions for drugs, biologics and consumer health products. With over 80 years serving the industry, Catalent has proven expertise in bringing more customer products to market faster, enhancing product performance and ensuring reliable clinical and commercial product supply. Catalent employs approximately 10,000 people, including over 1,400 scientists, at more than 30 facilities across five continents, and in fiscal 2017 generated more than $2 billion in annual revenue. Catalent is headquartered in Somerset, New Jersey. For more information, visit www.Catalent.com.